Share your blessings with the children of Africa and help support their future. Join our Baraka Circle Society! You can make an impact in African countries where the advantages Americans take for granted are all too rare. Give a gift through your estate plan and help us build a better world. For over 20 years I have partnered with Bread and Water for Africa®, serving orphaned children in Kenya by providing a loving home and family. Like Bread and Water for Africa® I believe our children are our future and through education, health and nurturing positive relationships together we give hope and love to those who would otherwise not survive. Over these many years I have had the privilege to raise more than 400 children, from newborns to young adults. 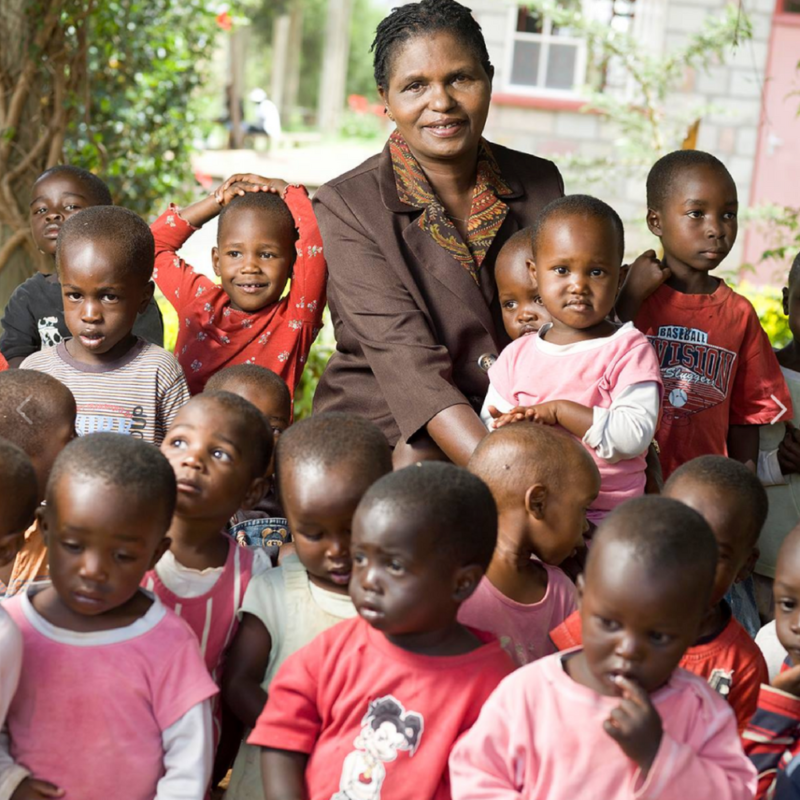 Our Lewa Children’s Home in Eldoret, Kenya is full of life and love for 87 orphaned and abandoned children. Our support includes providing the basics of food, clean water and healthcare, as well as education so that these precious children have the tools they need to live a better life. 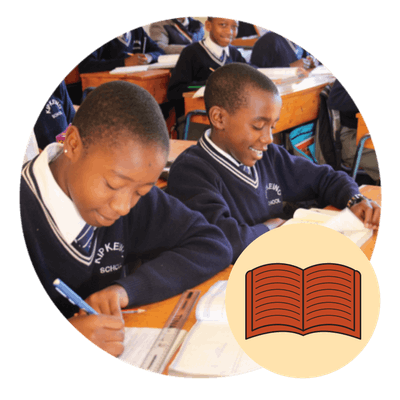 We offer outreach support by covering the costs of school fees and other basic assistance to 176 more children in the surrounding communities. We could not have achieved this without the support of your help through Bread and Water for Africa®. Beyond our work at Lewa Children’s Home, Bread and Water for Africa® has provided more than $5 million in grant funding to grass-roots organizations throughout the continent from Cameroon to Zimbabwe. Bread and Water® has also provided more than $120 million worth of in-kind donations and medical supplies, medicine, hygiene items, books and computers for schools and vital disaster relief assistance. 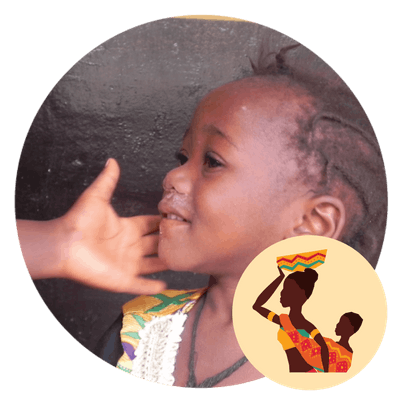 With you, I believe in the hope for Africa and invite you to join the Baraka Circle Society to share your blessings with the children of Africa and see how you can use your will to extend your impact and continue our path well into the future. Constructed and support the operations of nine Maternal Health and Under-Five clinics in Sierra Leone. Every planned gift begins with an important question: How can I make a lasting difference in the lives of others? I give to Bread and Water for Africa, Inc.®, Alexandria, VA (the sum of $_____ or ____ percent of the rest, residue and remainder of my estate) for its general purposes. You want to leave money to Bread and Water for Africa® in your will. You also want the flexibility to change your will in the event that life circumstances change. You can do both. In as little as one sentence, you can complete your gift. This type of donation to Bread and Water for Africa® in your will or living trust helps ensure that we continue our mission for years to come. If you have left Bread and Water for Africa® in your will, fill out this Bequest Intention Form and let us know. 1. Contact your retirement plan administrator, insurance company, bank or financial institution for a change-of-beneficiary form. 2. Decide what percentage (1 to 100) you would like us to receive and name us, along with the percentage you chose, on the beneficiary form. 3. Return the completed form to your plan administrator, insurance company, bank or financial institution. 1. Contact Paul Krizek at(703) 317-9485 for additional information on bequests or to chat more about the different options for including Bread and Water for Africa® in your will or estate plan. 3. If you include Bread and Water for Africa® in your plans, please use our legal name and federal tax ID. 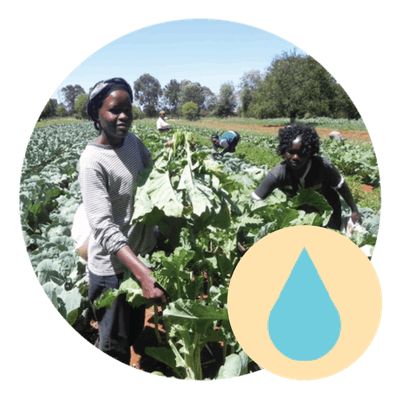 Legal Name: Bread and Water for Africa®, Inc.